Southampton's revival under Ralph Hasenhuttl continued as James Ward-Prowse's strike and a Lucas Digne own goal handed the hosts a 2-1 victory over Everton on Saturday. 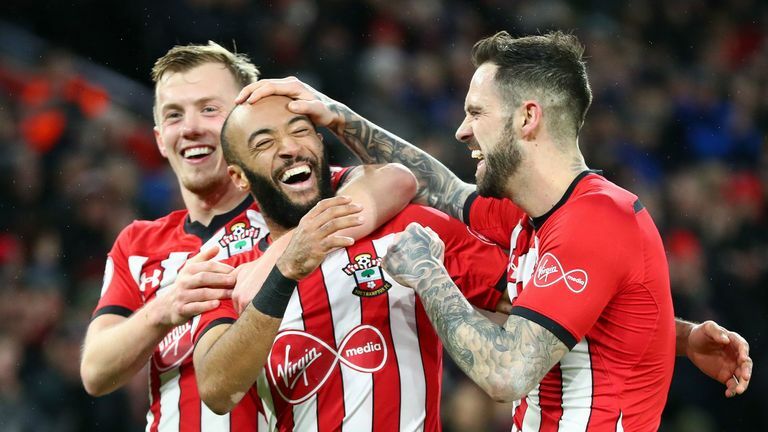 Southampton took the lead in the 50th minute as Ward-Prowse scored in his second successive match, before Digne extended the hosts' advantage when his tackle on Nathan Redmond rolled into the net (64). Gylfi Sigurdsson pulled a goal back in the 90th minute with a cool finish to set up a nervy ending, but Marco Silva's side failed to find the all-important equaliser. Back-to-back Premier League victories for Southampton means they move up to 15th on 22 points. Everton, meanwhile, remain in 11th. The first clear chance of the match fell to the hosts, who started the game the brighter of the two sides. On the quarter-hour mark, Danny Ings met Ward-Prowse's near-post corner, but his flicked header was superbly batted away by Jordan Pickford's strong left arm. Southampton continued to apply the pressure and the Liverpool loanee came close again in the 26th minute when he latched onto a lofted ball from Jan Bednarek, but his half-volley from range was punched away by Pickford. As the hosts continually pushed for the game's opening goal, Redmond dragged his low shot off the post, after breaking into a one-on-one, seven minutes before Andre Gomes' tackle on Ings in the box saw the ball bounce off the woodwork again. 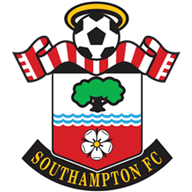 Danny Ings and Pierre-Emile Hojbjerg came into the team for Shane Long and Stuart Armstrong. Marco Silva named the same team that beat Bournemouth 2-0 last Sunday. Hasenhuttl's side took the lead shortly after the break, despite Everton starting the second half strongly. Ward-Prowse picked a loose ball up 30 yards from goal before he unleashed a venomous strike which swerved past the helpless Pickford. Southampton continued to push for a second goal and they got it in bizarre circumstances. Redmond was set through on goal by Ings and took a touch to try and glide past Digne. Unfortunately for the former Barcelona defender, his challenge saw the ball roll straight into the bottom corner. Dominic Calvert-Lewin almost pulled a goal back for the visitors five minutes from time, but he nodded his close-range header over the bar under pressure from Alex McCarthy and Bednarek. Sigurdsson, who had a mostly quiet game, slotted in a late goal following a scramble in the box, but Southampton held on for an important three points. Southampton have won five of their last six home league games against Everton, losing only in August 2015 (0-3). Southampton have won more Premier League games under Ralph Hasenhuttl (4 in 8) than they did with Mark Hughes (3 in 22). Everton have lost four of their last five away games in the Premier League (W1). Southampton's James Ward-Prowse has scored in consecutive Premier League appearances for the first time in his career. Everton's Gylfi Sigurdsson has ended on the losing side in four games in which he's scored in the Premier league this term, a league-high. Southampton have won two of their last four Premier League games at St. Mary's, as many as they'd won in their previous 20. 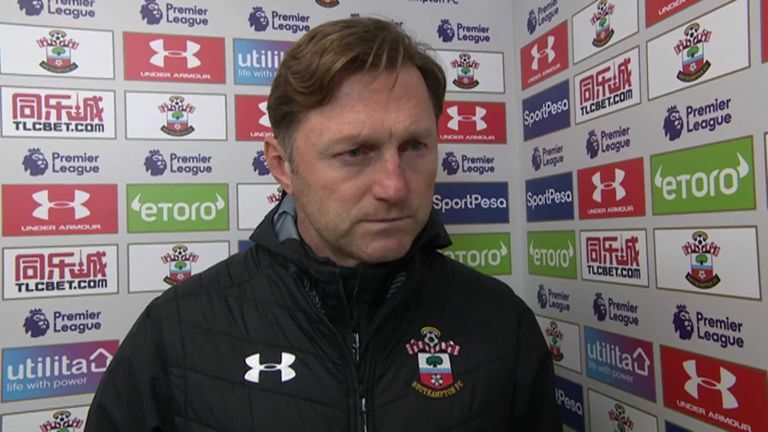 Ralph Hasenhuttl says it was his best game so far in charge of Southampton as they beat Everton 2-1. Ralph Hasenhuttl: "It was the best game so far, defensively good, we gave two chances away but a lot of chances to score, it could have been four or five. It was a very deserved win for us. 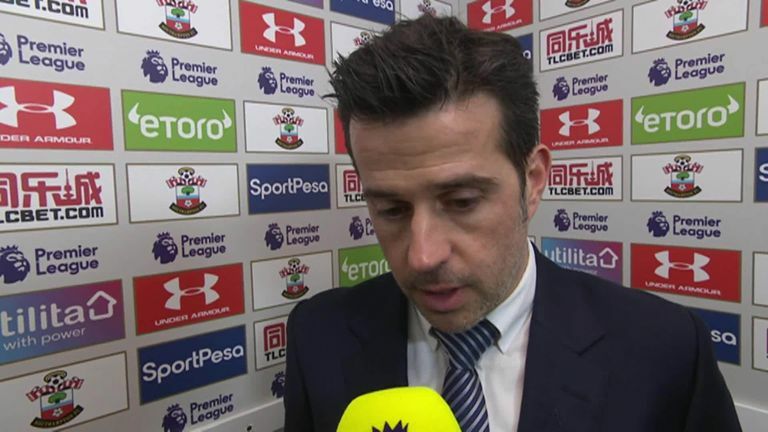 Marco Silva says Everton didn't show the same aggression on the pitch at Southampton who he felt deserved the three points. Marco Silva: "To be honest they deserved the three points even if they scored a fantastic goal when we started the second half better. "We had a big chance before them in the second half but they deserved it because they were more aggressive during the match." Ward-Prowse produced another highly influential performance from central midfield as he continues to thrive under Hasenhuttl. His goal gave Southampton a deserved opening goal and he was the one who kick-started the move which led to Digne's freak own goal. His range of passing to dictate the tempo for Southampton was excellent throughout. Southampton host Crystal Palace on Wednesday, January 30. 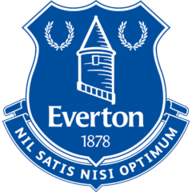 Everton, meanwhile, travel to Sky Bet Championship side Millwall for their FA Cup fourth-round tie on Saturday, January 26.